Go to the grade centre for the module in question. 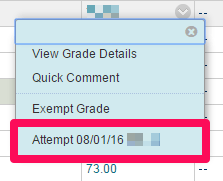 In the column for the assignment, click the arrow next to a student’s grade, then click on the Attempt detail. If you get the error at this point, you will need to resync the grades. 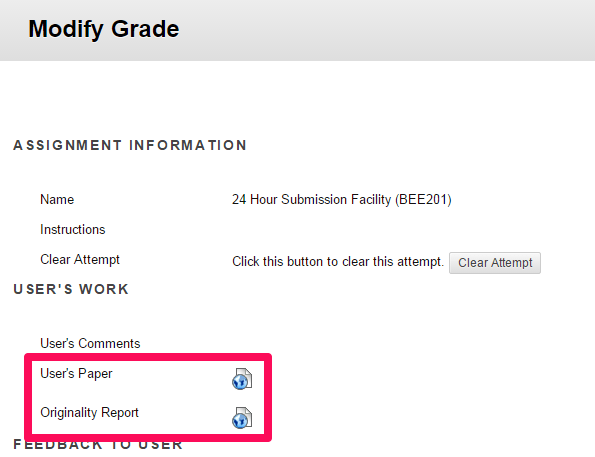 If you see the student’s paper, then this assignment doesn’t have this error. Be careful where you click! 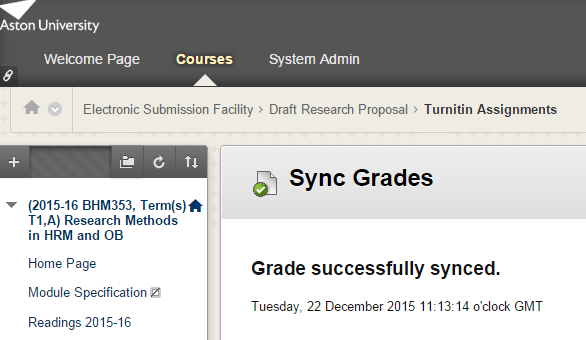 Turnitin have introducted a delete assignment link which is located very close to the sync grades link. You will see a confirmation if this was successful. If you get an error message when you try to sync the grades, contact the Technology Enhanced Learning team. There’s more detailed information on Turnitin’s support site.